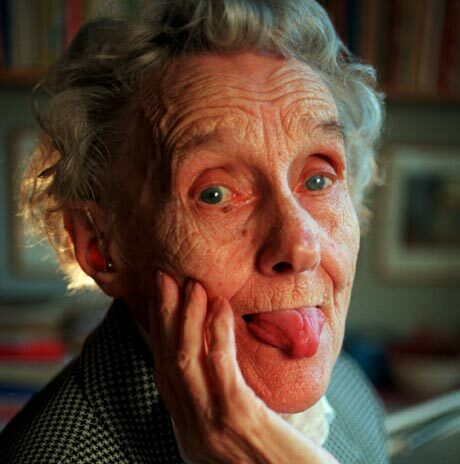 Illustrated obscurity: Happy Birthday, Astrid Lindgren! From wikipedia: she was an unwed mother, worked as a journalist and secretary before writing children's books, and was involved in a 1976 scandal over the marginal tax rate that brought down the Swedish Social Democratic government (though she remained a Social Democrat for the rest of her life). 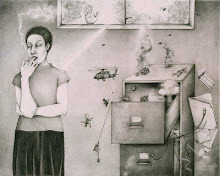 A Russian astronomer named a minor planet after her in 1978-- "Asteroid Lindgren". She wrote Pippi Longstocking (my favorite) for her daughter Karin. 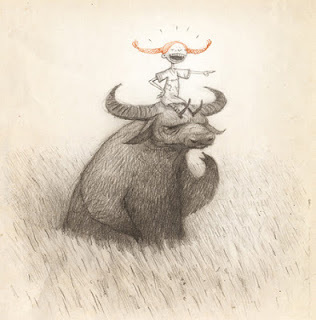 Wonderful Shaun Tan illustration of Pippi Longstocking and the Water Buffalo. We can't all be Queen. "Climate change is not a joke."